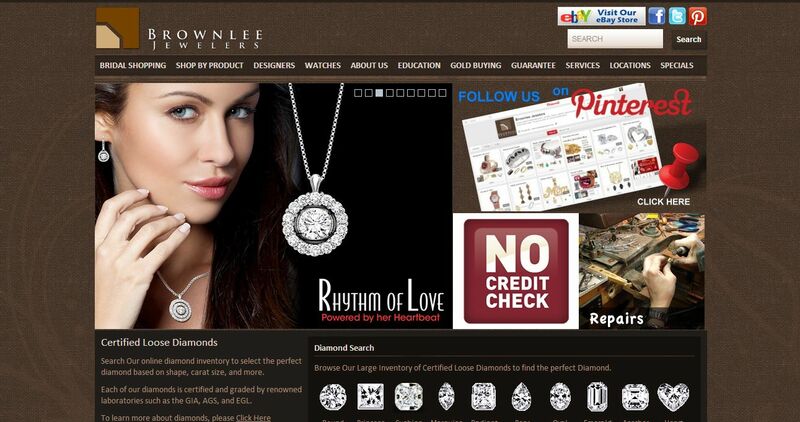 Brownlee Jewelers address, phone, website, hours of operation, and more. It’s with great pleasure to welcome you to Brownlee Jewelers. Since opening in 1936 at the corner of Trade and Tryon my family has worked extremely hard to make the diamond ring buying process a pleasant and easy experience for each of our customers. We have your best interest at heart and know that buying an engagement ring is one of the most significant purchases you will ever make. That is why it is so important to buy from someone you trust and a company that is going to provide extraordinary service for many years to come. We want you leave without a doubt that you choose the right diamond for you at the right price for you. As a member of The Continental Buying group comprising of over 100 members with over 1 billion dollars in retail sales we can offer you a selection and value that most retailers and chain stores just can’t match. All our diamonds are graded by an Independent Gemological Laboratory with savings of 50-70% off the retail appraisal. Most of our diamonds are hand set by one of our own in house jewelers to ensure quality. Should you choose to create something one of a kind, our custom design department will work with you using Cad-Cam or custom carved waxes. We confidently back each of our products with unmatched guarantees and warrantees, including a money back guarantee, lifetime upgrade, price protection, complimentary jewelry maintenance, complimentary appraisals and so much more, As a member of Preferred Jewelers International we are the only independent jeweler in the area to offer a nationwide warranty program. Having served the Carolina’s for over 75 years, our locally owned and operated jewelry stores have an unprecedented history of full service jewelry operations second to none. We offer jewelry and watch repair, custom design, engraving services, and interest free financing. Our ultimate goal is to gain your trust and satisfaction for a lifetime. We take pride in providing professional guidance and promise you to work hard to gain your confidence and exceed your expectations with each purchase.